7.12mm x 20.03mm / 0.28in. x 0.789in. Pipe Charm by Rembrandt Charms. The height is 3/4 of an inch. With this pipe you can keep memories of Grandpa sitting in his rocking chair with a smoking pipe. 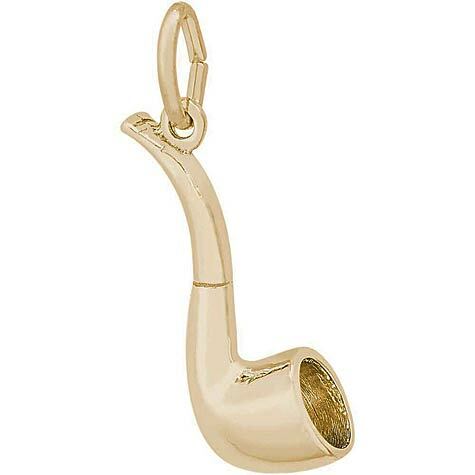 Add this Pipe Charm to any charm collection. This pipe jewelry can be placed on a necklace as a pendant or will be a wonderful addition as a charm for a Charm Bracelet. All Rembrandt Charms are available in either silver or gold.